Celebrate Asian Soul Food at Ilaputi for free! All you have to do is give the right answer to the given question below. Where is the very first Ilaputi located? Email your complete name, age, city and your answer to angeliysama@yahoo.com with "Ilaputi: Asian Soul Food" on the subject box. A reader should only have one entry. Follow instructions correctly otherwise your entry will be marked invalid. Names of participants with the correct answer will be raffled. 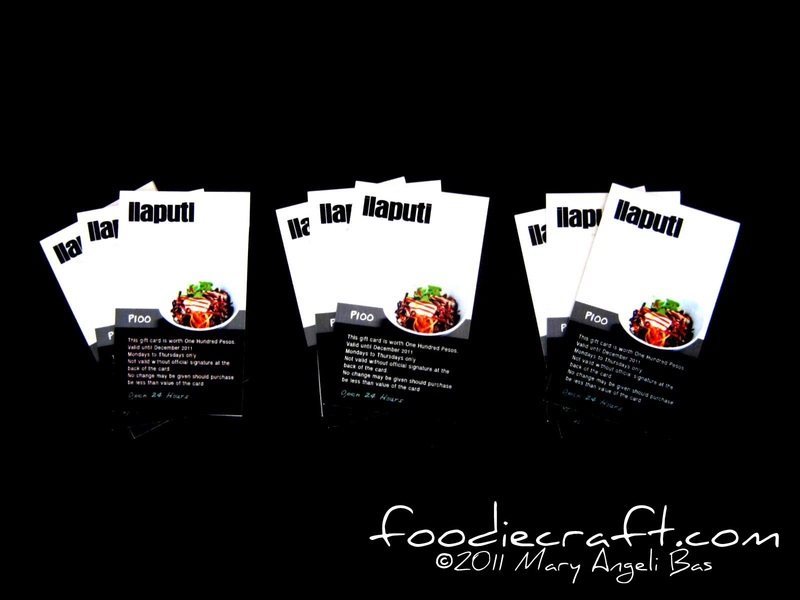 Three winners will get Php300.00 worth of Ilaputi gift certificates each. Contest is open to anyone based in Cebu Province, aged 18-30. Deadline for entries is on October 27, 2011. Winners will be posted on October 29, 2011 and will be notified via email.